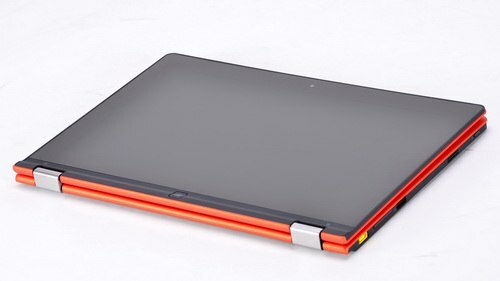 Like Yoga 13 and Twist, Yoga 11 hybrid laptop also has a design that is as impressive, with the screen that can rotate an angle of 360 degree, allowing using it in different ways. Yoga 11 looks quite similar to Yoga 13, though their specs are totally different. 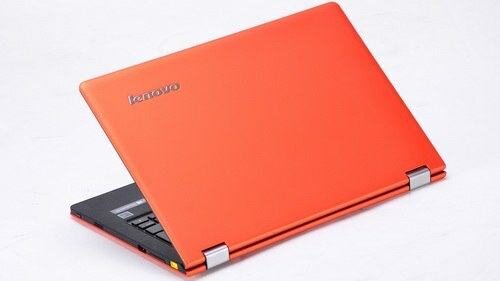 Particularly, Yoga 11 is built on ARM structure with SoC (system in chip) NVIDIA Tegra 3 plus Windows RT OS while Yoga 13 uses x86 structure, Intel Ivy Bridge and Windows 8 OS. 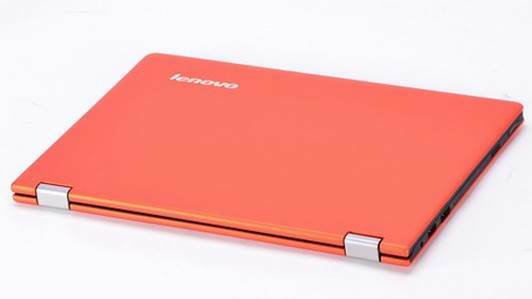 This is also the difference between Yoga 11 and other hybrid laptops. With a dimension of 29.8x20.4x1.56cm and a weight of 1.27kg, Idea Yoga 11 looks markedly more lightweight than standard models but in term of screen size, connectors and handiness, Yoga 11 couldn’t rival. This is normal as the combination of tablet-like and laptop-like features in a limited space means that the manufacturer has to cut off some less important components. Interestingly, Yoga 11 has a screen which can rotate by 360 degrees thanks to the special dual-hinge design, allowing for different using ways at custom. 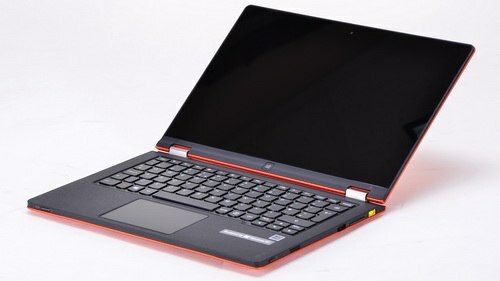 To be handier, Yoga 11 is also integrated with some function keys, such as Windows for fast-switching between screen modes, volume, screen lock and power. The chassis is coated by a soft plastic layer featuring carbon fiber beneath. The frame is made of magnesium alloy thus the device is generally lightweight yet it is still sturdy enough to ensure users. Another good side is that the keyboard and the touchpad will automatically lock when the screen swivel by an angle larger than 180 degrees, to avoid mistyping. 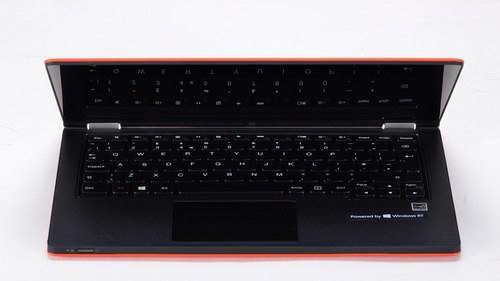 Additionally, the keyboard and the touchpad is placed in a lower level than the frame and protected by rubber feet to avoid physical contact when rotating the keyboard. Due to size limit, the device’s peripheral connectivity is limited too. In detail, Yoga 11 supports HDMI, 2x USB 2.0, 2-in-1 card reader and audio out, along with common wireless connections: Bluetooth 4.0 and Wi-Fi 802.11b/g/n. Speaking of hardware support according to user’s demand, this is impossible since Yoga 11 uses SoC (system on chip) Tegra 3 from NVidia. Crucial components, like GeForce ULP, 2GB of DDR3L RAM memory and eMMC flash (replacing hardware) are also directly integrated onto the mainboard. ThinkPad Yoga 11 is equipped with an 11.6in screen plus 1,366x768pixel WXGA resolution. The IPS panel gives the screen’s accurate colors and 170-degree viewing angle. In office conditions, practices showed that display was clear, sharp and bright. Color changing, darkness as well as shades of gray/white are distinguishable, making it comfortable to work with texts. An equipment of a glass screen that can absorb light and deliver a brightness of 350nit makes outdoor usage bring out vibrant and clear display though the quality is still not the same as in office. Besides, we also realized there was no difference between Yoga 11’s 5-pointing touchscreen and 10-pointing one during tests. The feeling of smoothness due to low friction makes maneuver easy and accurate, fast-responding to fingers’ movement. Though, the 11.6in screen’s image display is still smaller than that of 12.5in or 13.3in ones featuring similar resolution (1,366x768). User needs more time to get used to more accurate maneuvers with icons and commands in desktop interface. We tested with an ARM-built Yoga 11 with NVidia Tegra 3 chip (1.2GHz clock rate), GeForce ULP integrated graphics, 2GB of DDR3L memory and eMMC flash (replacing hard drive) featuring 64GB space. The biggest problem of Yoga 11 as well ARM-based devices is the small Windows RT ecosystem which finds difficult meeting user’s demand for both working and playing, unlike Windows or Mac OS. 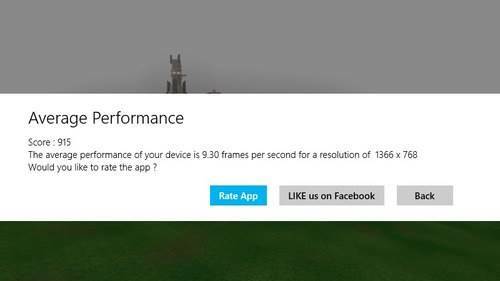 Specifically, Windows RT doesn’t support Intel x86 based apps thus it’s impossible to apply benchmarking tools to judge this model. So, some tests in this article are relative, unable to judge the system’s real strength. Through web-surfing and office apps, Yoga 11 was seen to meet multi-tasking. Despite RAM memory limited (2GB), but with the advantage of Tegra 3 chip, the device still handled some photo-editing tasks in Fhotorom app. 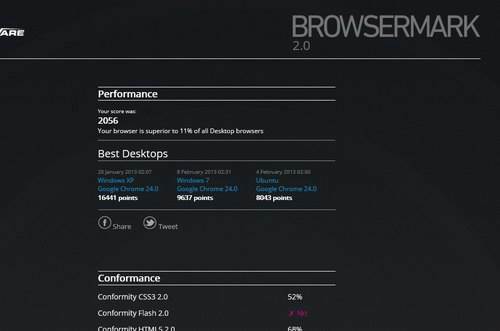 Through Speed Test Pro, the processes were measured at 108.3MB/s for 4-core processor, 64.4MB/s for RAM, 22,519MB/s for GeForce ULP and the fastest 63.5MB/s (read) plus 32.1MB/s (write) for MMC flash. Testing battery life by surfing web, viewing news and playing music at the same time, setting brightness at 40% (like in battery mode), the total time allotted was 14h 36min. When displaying HD 720p movie, at maximum brightness (100%), the total time allotted was nearly 10h. This is also ARM-based device’s advantage, in performance, over Intel’s x86 platforms.